A pedestrian has died after being hit by a C-Train at Erlton station in southeast Calgary, according to EMS. 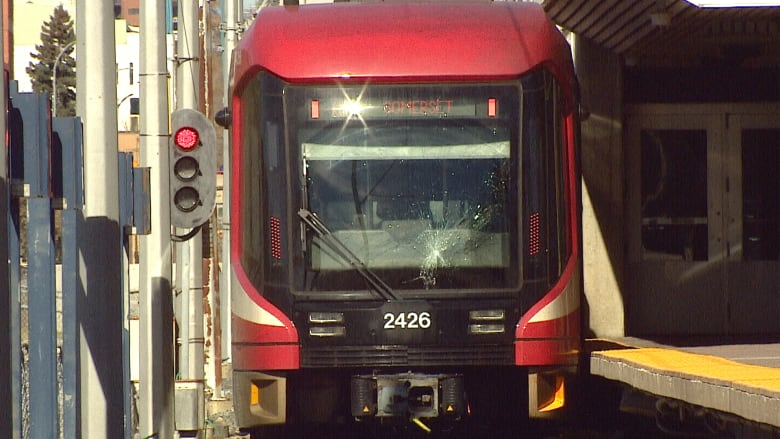 Police were called to the Erlton LRT Station at 1:20 p.m. after it was reported a pedestrian was hit by a train as it approached the platform. They asked motorists to take an alternative route where possible. The man was found dead at the scene, according to police. It was the second fatality on C-Train tracks on Monday, after a young girl was hit and killed earlier in the day. There was also a driver who died in a single-vehicle collision on Stoney Trail on Monday. Officers closed off 25th Avenue at Macleod Trail S.E. The road was closed in both directions, but has since reopened. Trains weren't stopping at the station and Calgary Transit said shuttle buses are in place to take riders from City Hall station and 39 Avenue station to Erlton. The station reopened around 4:30 p.m.
Police continue to investigate and say no more information is available at this time.